By Siobhan McGuire | May 1, 2012. The Greyhound Recycling Company has been at the centre of much debate this year. The company, which took over from Dublin City Council, has been criticised for its failure to collect bins on time and refusal to collect bin bags with the previous bin stamps issued by the county council. According to residents of the Liberties, “the collections are less regular than they were before, no one knows what days exactly the bins are collected,” said Alan McGrath living in Dublin 8. Greyhound recycling took over from Dublin City Council in January of this year and now provides its waste collection service to over 140000 customers. Other bin collection providers include City Bin and Oxigen. City Bin’s annual service charge is €48 for pay by weight or lift and €199 if you opt for the fixed fee. Black bin charges are 25 cent per kg or €7 per lift. City bin charges 19 cent per kg for a brown bin, €4 per lift with the green bin free of charge. 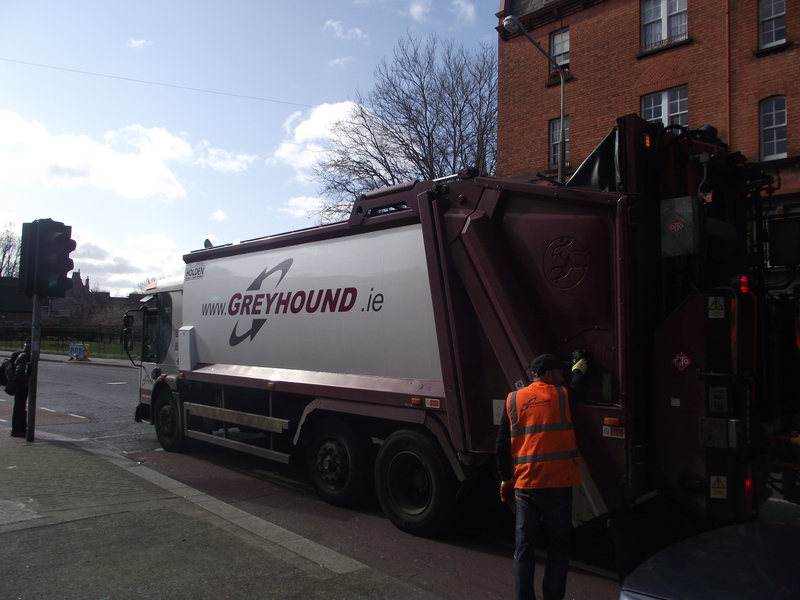 An article in the Irish Independent in January stated that City Bin received more than 1,000 requests from former city council customers since Greyhound took over and would soon be offering a service to new customers in some city areas. Oxigen has a fixed monthly charge of €20 and a pay by use charge of 8.85 per black bin lift with an annual charge of €60 or pay by use with no annual charge at €14 per black bin lift. Another waste collection company Panda took over the Fingal County Council bin collections and it is reported that it may offer its services to the city centre in the future.